The shooting took place at Belclare View. GARDAÍ ARE INVESTIGATING after reports that multiple shots were fired at a house in Ballymun early this morning. No persons were injured in the shooting which occurred at a house in Belclare View. Gardaí say there was damage to the front of the house and there have been reports that a nearby apartment was also damaged. An investigation has been launched into the shooting and the scene was cordoned off this morning. Local TD Noel Rock said this afternoon that the shooting is an “all too regular occurrence” and that he has contact the local garda superintendent. 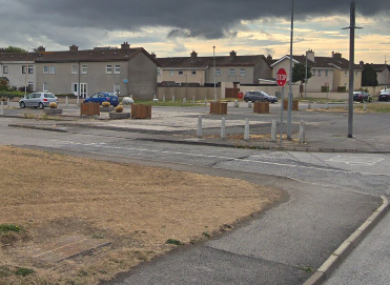 “A shooting like this in a residential area like Belclare View which is full of children, is something which has once again shocked the community. The fact that a shooting happened on this same road only a few short months ago underlines the need for resources,” Rock said. Email “Multiple shots fired at house in Ballymun”. Feedback on “Multiple shots fired at house in Ballymun”.